Clear Ocean World Globe (Flat Bottom). Cardboard gift box is included. 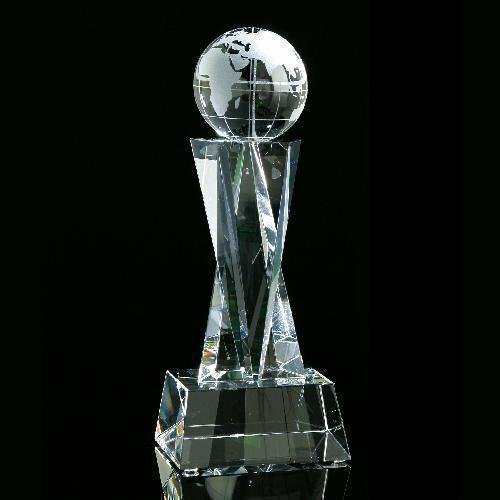 The Crystal Globe with Black Base award is an excellent employee appreciation and recognition award, achievement award, customer appreciate award and sales award. This crystal award text will be a frosted white color when engraved.